Get a big dose of nature this summer on the hiking trails in Gatineau Park. Each trail has some little gem that makes it unique, from ruins to a waterfall, or a lookout. There is plenty to see for every hiker's skill level, making this potential day trip family friendly. 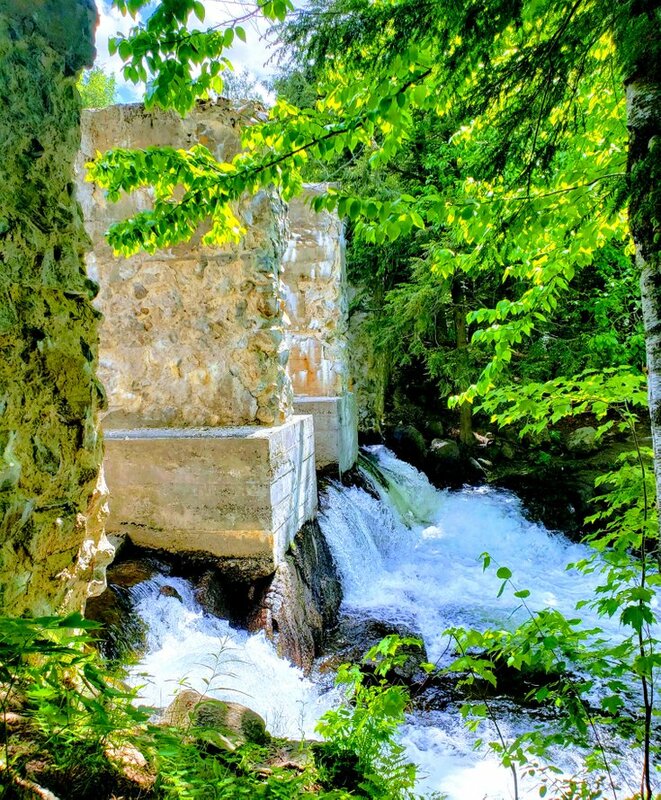 You can escape to this little piece of paradise by driving just 30 minutes out of Ottawa. So take a break from the busy city life and get out and do some hiking and see the astonishing views. The Carbide Willson Ruins are what is left of what used to be a mini-industrial complex, built by Thomas Carbide Willson. In the 1900's he bought land on Lake Meeche when he had discovered a process to create calcium carbide. Out of fear someone would steal his idea he isolated himself away in the woods. Unfortunately, his estate was left in ruins when he filed bankrupt and eventually died in 1915. Let's be honest, this structure is a bit spooky. 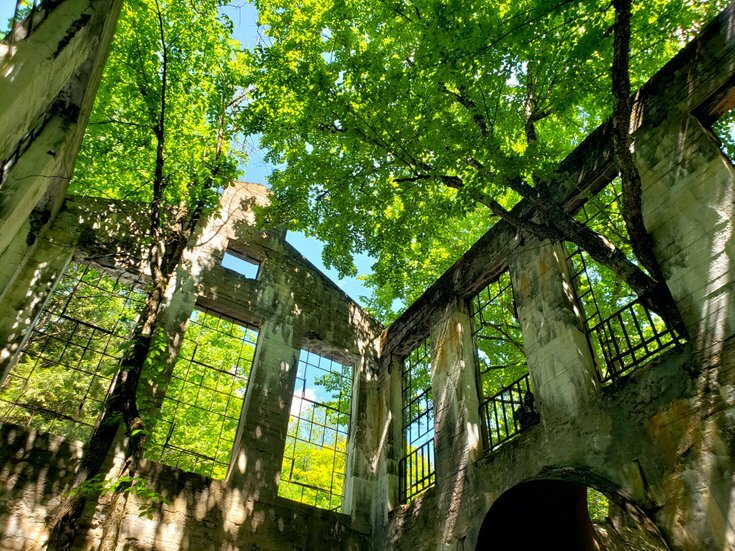 You walk upwards of 2 hours into the woods to find a half-eroded building just chilling amongst the trees. At the same time, it's also uniquely beautiful. The trail has plenty to see, from the canopy of trees above the trails, Lake Meech that you pass on the way, to the waterfall just past the ruins. This was definitely a favorite. 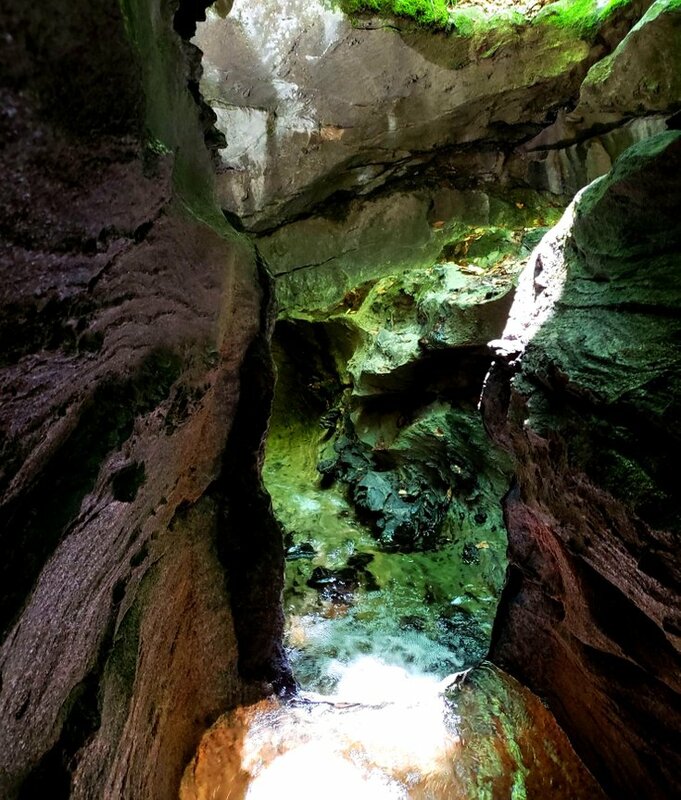 This trail is a great day trip, with two different routes you can take to get the caves. One will take longer than the other and is more like a regular hike. The short trail, trail 50, is less steep and better maintained. Tip: Mid June to the end of summer you have to pay for parking, any time before that it's free to park at the park. King Mountain Trail is one of the most popular hiking trails in Quebec. When you see the 10 stunning panoramic views this hike has to offer it's easy to see why. In the many open-rock viewings, see the Ottawa Valley, downtown Ottawa (Parliament Buildings), Gatineau, and Ottawa River. This hike is also one of the shorter trails you can take, which makes it perfect for any skill level. Tip: The best time to use the trail in May until November. 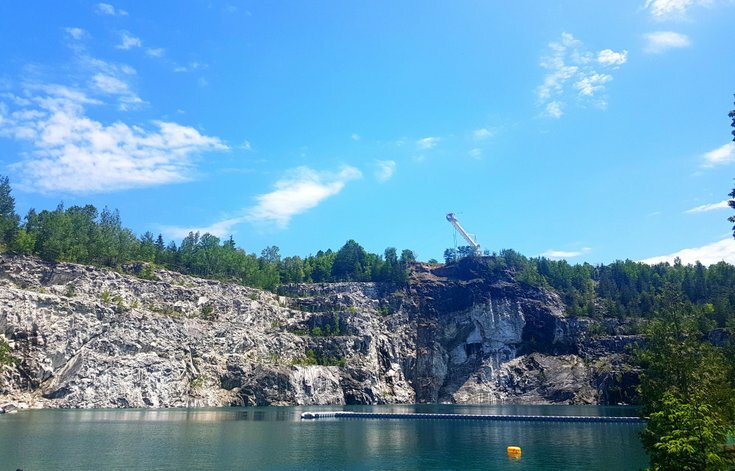 Morrison's Quarry located in Wakefield, Quebec and is nothing short of a summer paradise. The green/blue crystal clear waters reach depths of 139 ft.
Not only is this hidden swimming hole a great way to cool off this summer, but you can also have a BBQ, tan, or have a picnic at one of the many benches. The fun doesn't stop there though, Morrison's Quarry also offers one of the regions most popular scuba diving training spots, where you can explore underwater wreckage. If that doesn't get your adrenaline pumping, then maybe their bungee jump will, which is the highest in Canada. Basically, this place is a one-stop-shop for a fun-filled day. Tip: It cost $10 for admission, cash. This lake was named after the Pink Family in 1826. Despite having the name "Pink," the lake is actually blue-green. It's also a meromictic lake, which means the layers in the water don't mix. Since they don't mix, the nutrients and oxygen can't be evenly distributed throughout the lake. For this reason, there is no oxygen in the deepest seven meters of the lake. This lack of oxygen means that there isn't much life taking up residency in Pink Lake, other than a couple of fish. What this lake does have is an awesome hiking trail around the lake, along with a lookout. Fair warning, there are a lot of stairs. Now that you have a list of awesome hiking trails to do in Gatineau don't forget to think about safety. Make sure to take into consideration the weather forecast for that day, how isolated that given trail may be, and how long the trail is. Just be prepared, and you'll have a ton of fun while seeing some incredible views.